For installation of a new garage door, this warranty covers defects in workmanship, for labor furnished by the Precision Garage Door Service Franchisee as a part of installing the new garage door for one (1) year from the date of installation. The garage door manufacturer provides its own separate warranty to you for the door and its parts. This warranty does NOT cover the door or its parts. 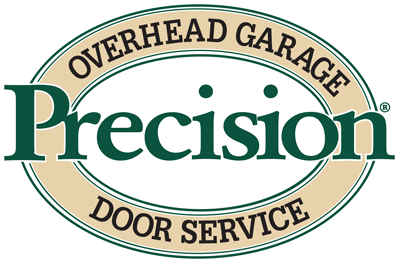 The Precision Garage Door Service Franchisee will correct any defective workmanship and, if a part is covered by the manufacturer’s warranty, he will repair or replace that defective part, at no charge for labor for up to one (1) year from the date of installation. For a complete overhaul repair to an existing garage door, this warranty covers any defects in materials or workmanship, including installation, for new and rebuilt parts furnished by the Precision Garage Door Service Franchisee as a part of the repair. The Precision Garage Door Service Franchisee will repair, or if repair is not possible, he will replace any defective part or workmanship at no charge for materials. Partial Service Warranty. If this option is selected, the terms are consistent with the terms of the Limited Warranty, but lasting only for a 90-day period beginning on the date of service completion. This warranty does not cover problems caused by abuse, misuse, civil disturbance or Acts of God and does not cover commercial door installation or repair.